Last week’s economic news included several housing-related reports including the Housing Market Index (HMI) for March, a report on housing starts, and building permits for February. The National Association of REALTORS® also released its Existing Home Sales report for February and the Federal Reserve issued its first FOMC statement under the helm of Fed Chair Janet Yellen. The National Association of Home Builders Wells Fargo Housing Market Index rose by one point to a reading of 47 in March against a reading of 46 in February and against an expected reading of 50. Readings above 50 signify that more builders have a positive view of housing market conditions than not. Conditions contributing to the sluggish reading included a lack of lots for development and labor shortages. The NAHB also cited rising home prices and mortgage rates as reasons for builders’ conservative outlook. The U.S. Commerce Department released reports on Housing Starts and Building Permits Issued for February. Housing starts dipped to 907,000 in February against expectations of 908,000 expected housing starts and January’s reading of 909,000 housing starts. Severe winter weather froze construction and transport of building supplies. Building permits issued increased to 1.02 million on a seasonally adjusted basis against January’s reading of 945,000 building permits issued. February’s reading represents a 7.70 percent increase over January’s permits issued and was attributed to a sharp rise in plans for condominiums and rental housing projects. 407,000 permits for multi-unit buildings were issued in February and represented a 24.3 percent increase on an annualized basis. Analysts saw the increase in building permits as a sign that construction will pick up as warmer weather arrives. The National Association of REALTORS® reported a decrease of 0.40 percent in sales of existing homes from January’s reading. February’s reading of 4.60 million homes sold on a seasonally-adjusted annual basis was lower than January’s reading of 4.62 million existing homes sold, but exceeded expectations of 4.58 million existing homes sold. Analysts identified familiar causes such as high mortgage rates and home prices, bad weather and a short supply of available homes for the dip in existing home sales. New standards for “qualified mortgages” became effective in January and were seen as a possible obstacle to would-be home buyers as mortgage lenders keep a tight rein on mortgage credit policies. Reports indicate that Fed Policy is expected to stay much the same as it was under its previous chairman. FOMC approved an additional $10 billion reduction in asset purchases designed to keep long term interest rates low. The Fed will now purchase $55 billion monthly in mortgage-backed securities and treasury bonds as compared to its original level of $85 billion monthly. Wall Street did not respond well to FOMC’s revised projections for short-term interest rates, which were revised from 1.75 percent by the end of 2016 to a possible short-term rate of 2.25 percent. FOMC removed the benchmark 6.50 percent national unemployment rate for raising the federal funds rate, which is currently 0.250 percent. Instead, the Fed will review a wide range of economic indicators before changing monetary policy. Janet Yellen, in her first press conference as fed chair, said that the Fed may consider rising short-term interest rates a few months before its original target of October to December of 2015. Mortgage rates dropped last week according to Freddie Mac. Average mortgage rates fell from 4.37 percent to 4.32 percent for 30-year fixed rate loans. Rates for 15-year mortgages dropped from 3.38 percent to 3.32 percent. 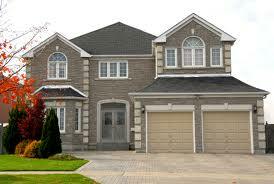 The average rate for a 5/1 adjustable rate mortgage fell from 3.09 percent to 3.02 percent. Discount points were unchanged at 0.60 percent for fixed rate mortgages and 0.40 percent for 5/1 adjustable rate mortgages. Scheduled economic reports for this week include the Case-Shiller and FHFA Home Price Indexes for January. New Home Sales and Pending Home Sales will also be released. This entry was posted in From Michelle to You and tagged Building Permits, FOMC, Housing Starts by BJ Kirkpatrick. Bookmark the permalink.